These gluten free white chocolate brownies (which, it turns out, are not called blondies) are simply divine. The sweetness of the white chocolate is balanced beautifully by the slight tartness of the raspberries, and the texture is somewhere between dense fudginess and pillowy softness. 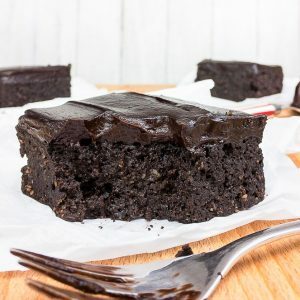 The perfect gluten free dessert, with a quick and easy recipe! Get ready to have your mind blown. I mean it, prepare yourself. 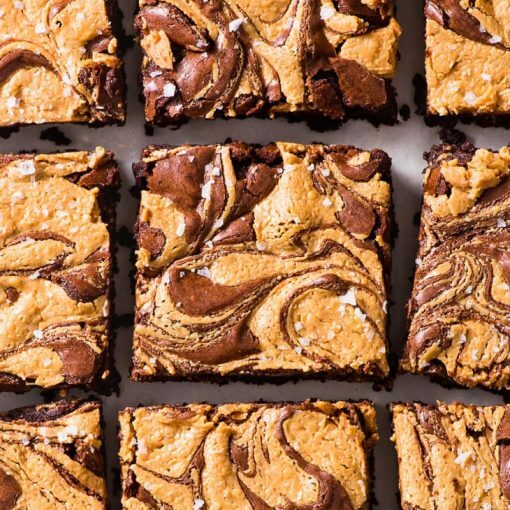 Blondies are not actually white chocolate brownies. What do you mean, you knew that?! Really? Really really? HOW?! Is it like a big conspiracy that everyone knows about apart from me? It doesn’t make sense. 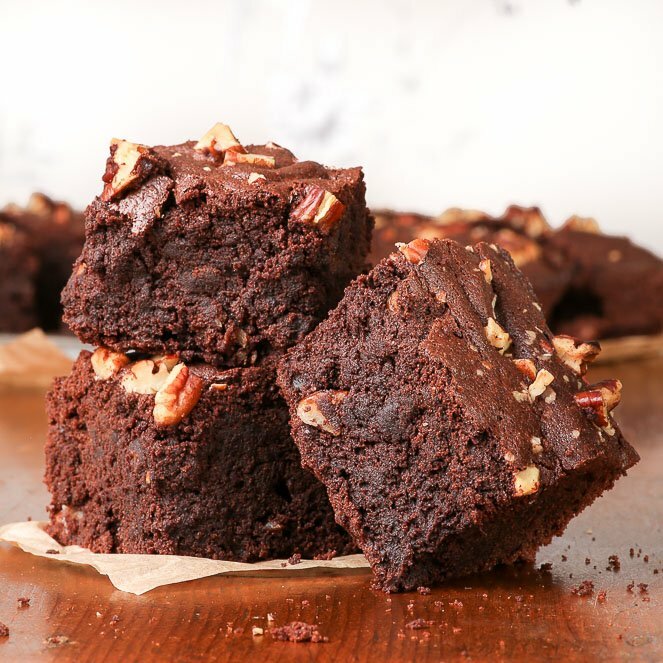 You have brownies – brown because of dark chocolate. And then there are blondies – and common sense requires them to be “blond” (a.k.a. beautiful beautiful golden brown that makes your mouth water) because of white chocolate. Okay? Well, apparently not okay, because “a blondie resembles the traditional chocolate brownie, but substitutes vanilla for the cocoa used in brownies, and contains brown sugar.” (Yes, that was Wikipedia.) I’m sorry, but how’s that in any way “resembling a chocolate brownie”?! Yes, I do take food and terminology and semantics way too seriously. 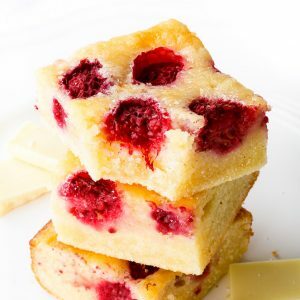 So this recipe isn’t for gluten free raspberry blondies – it’s for gluten free raspberry white chocolate brownies which aren’t brown at all. The world is a strange place. 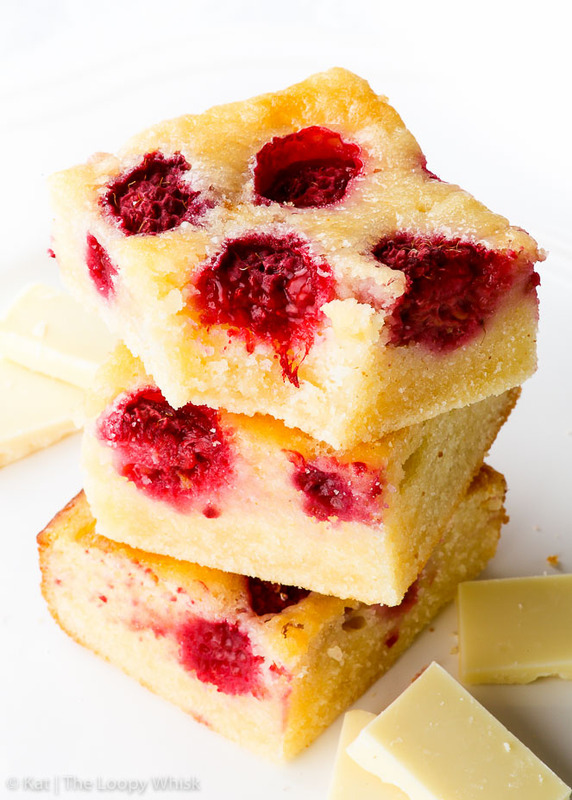 The raspberries balance the sweetness of the white chocolate perfectly with their refreshing tartness. Plus, the colours are just spot on, aren’t they? 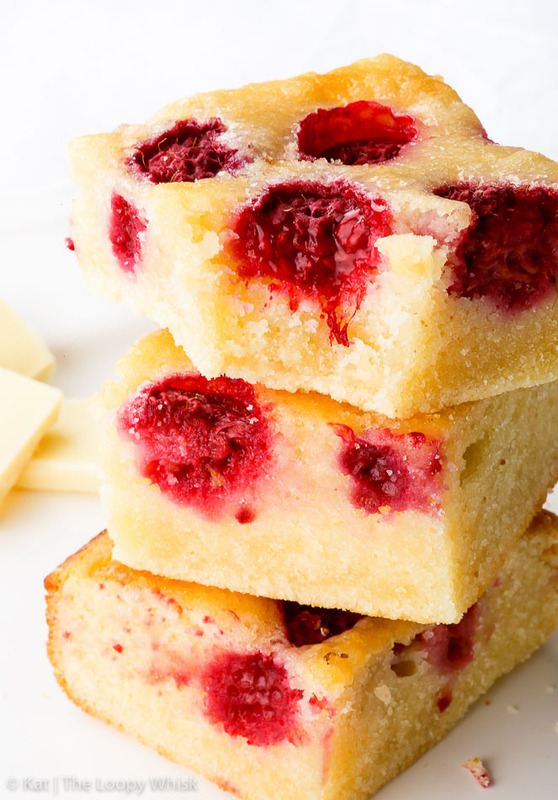 The warm golden colour of the white chocolate brownies with the bright reddish pink of the raspberries… you just know it’s going to taste amazing. 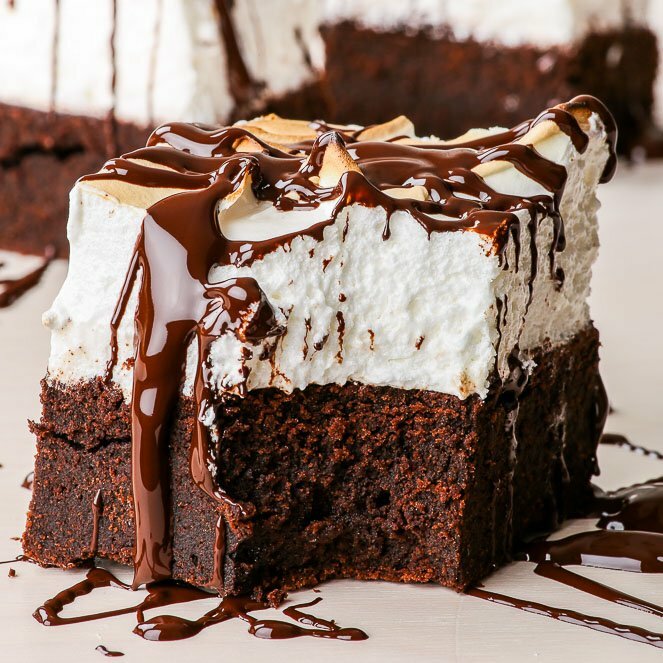 These white chocolate brownies are the perfect treat, which will have you craving “just one more bite”. Which always turns into one more piece… or three. No biggie. It’s perfectly understandable. 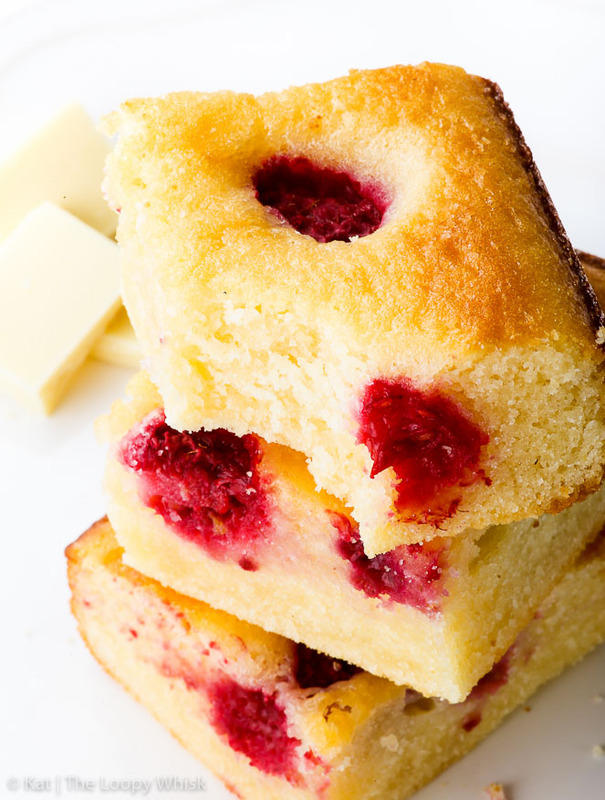 And while you’re munching on soft decedent white chocolate perfection… be a rebel, and call them “blondies”. Go on, I dare you. These gluten free white chocolate brownies (which, it turns out, are not called blondies) are simply divine. 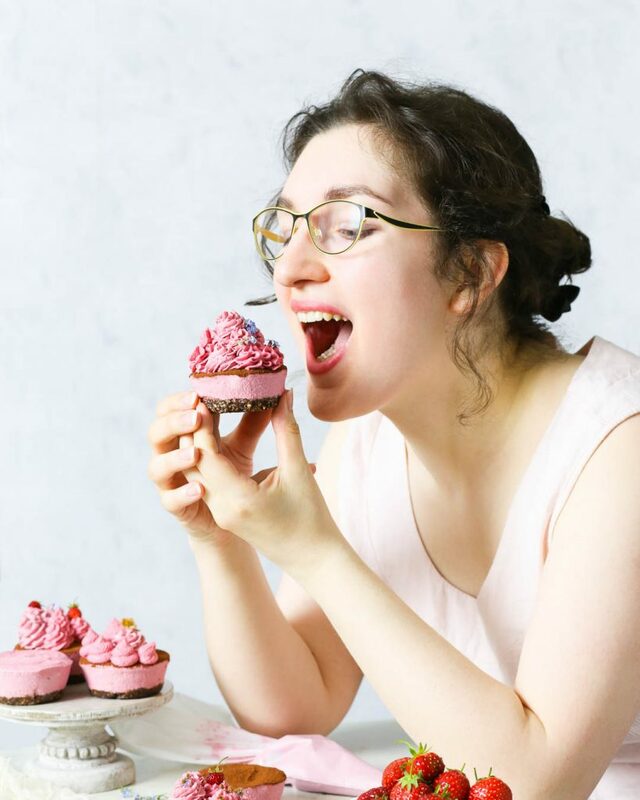 The sweetness of the white chocolate is balanced beautifully by the slight tartness of the raspberries, and the texture is somewhere between dense fudginess and pillowy softness. The perfect gluten free dessert, with a quick and easy recipe! (Take a look at the video above for step-by-step instructions!) NOTE: The ingredients below are suitable for an 8 x 8 inch baking tray. Pre-heat the oven to 190 ºC (350 ºF) and line an 8 x 8 inch baking pan with greaseproof/baking paper. In a bowl above simmering water, melt together white chocolate and butter. After they are melted, allow to cool until warm to touch. Add the caster sugar, eggs + egg yolk, vanilla extract, salt and milk, and mix well until evenly combined. Sift together gluten free flour and xanthan gum, and add them to the batter. Mix well until no flour clumps remain. 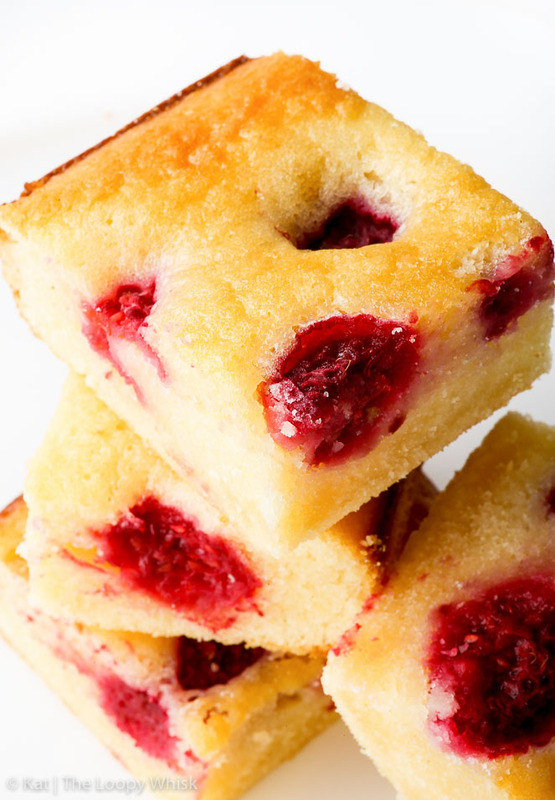 Transfer the white chocolate brownie batter into the baking pan and "sprinkle" the top with raspberries. Bake in the pre-heated oven at 190 ºC (350 ºF) for about 25 minutes or until an inserted toothpick still comes out a bit dirty, but the top is a light golden brown colour. Allow to cool, cut into pieces and enjoy! The white chocolate brownies keep well in a closed container in a cool dry place for about 3 - 4 days (but only if very well hidden). 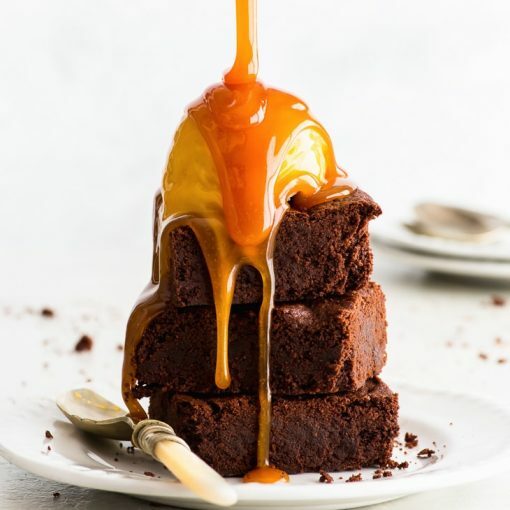 Looking for more brownie yumminess? I’ve got you covered! Just made these! 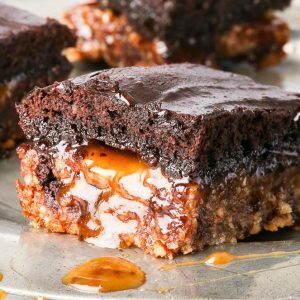 One of the best tasting gf desserts and so easy. Thank you ! These look amazing, gonna give them a try. Is it plain or self-raising flour? Hi Clare! So glad you like the brownies, they’re super delicious 🙂 It’s plain gluten free flour. I am looking for a good moist white chocolate brownie(not a blondie, thank you for explaining it!) But I can’t have the raspberry. Can I make these alone with no fruit, maybe just the white coco chips? They just look so delicious!